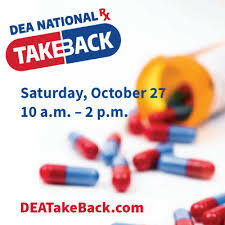 New Bedford Police will collect unwanted and expired prescription medications from 10 a.m. to 2 p.m. Saturday, Oct. 27, during National Prescription Drug Take Back Day sponsored by the Drug Enforcement Administration. The event will be held outside police headquarters, 871 Rockdale Ave. The event aims to provide a safe, convenient and responsible means of disposing prescription drugs, while also educating the general public about the potential for abuse and medications. This ensures that the medications do not end up in the wrong hands or in the ecosystem. The day’s activities are organized by detectives Kelly Almeida and Bryan Oliveira. Accepted items include prescription patches, prescription medications, prescription ointments, over-the-counter medications, vitamins, samples and veterinary medications. 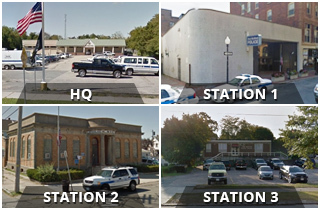 Medications can also be dropped off year-round at the New Bedford Police headquarters, 871 Rockdale Ave., the downtown police station, 572 Pleasant St., the north end station, 781 Ashley Blvd., and the south end station, 168 Cove St. Needles, syringes and lancets can be dropped off at three New Bedford locations: Greater New Bedford Community Health Center, 874 Purchase St., 508-992-6553; and two locations of Seven Hills Behavioral Health, 1173 Acushnet Ave., 508-996-0546; and 589 South First St., 508-996-3147. Call the locations for specific hours and additional information.